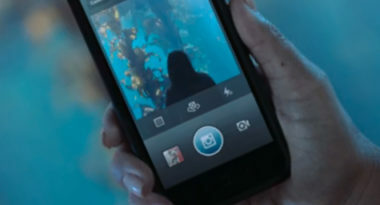 Facebook just announced the addition of video to their Instagram photo-sharing app. The leading social media network acquired Instagram in 2012 for $1 billion and has since been focused on leveraging its enormous popularity. ABCNews.com had reported on the Web-wide speculation over Facebook’s sudden and secretive live event to announce a “new product,” and revealed that rumors had been swirling for weeks about the addition of video to the app. The rumors became a reality today with Facebook’s debut of a new feature simply called “Video On Instagram.” The feature allows users to create and share 15-second videos and offers special editing capabilities, along with 13 new filters designed exclusively for video. According to TechCrunch.com, the video feature is being rolled out today to the 130 million monthly Instagram users on iPhone and Android devices. By adding video to Instagram, Facebook has made the app a direct competitor to Twitter’s Vine app. Vine allows users to easily create, upload, and share six-second videos and it has become hugely popular with iPhone and Android users. In fact, there’s been buzz that Vine videos are now shared more on Twitter than Instagram photos, despite the fact that Instagram has amassed a much larger user base. While the world awaited the official Instagram announcement, Vine vied for its share of the spotlight by posting teaser videos that suggested new features and UI enhancements coming to the app. While Vine intentionally kept the videos vague, TechCrunch.com reported that one of the most anticipated additions appeared to be the ability to create and save Vine drafts before sharing them. This feature would be extremely useful since these six-second videos often require the passage of time to properly tell a story. Another Vine enhancement seemed to be the redesign of the video stream, which appeared to shift the camera button to the bottom of the screen and keep it still as the user moved down the stream. This would allow Vines to continuously slide down the stream without any breaks for likes or comments. The user would need to click on a specific Vine in order to like it or comment. In addition, TheVerge.com picked up on the possibility of more video categories coming to Vine. The app currently lets popular hashtags rise to the top of the Explore page, but the update may expand that exploration feature to include specific topics like comedy, fashion, technology, and others. Facebook used the Instagram blog to proudly tout the highlights and possibilities of video on the app, yet wisely touched on the topic of privacy by assuring users that their video and photo content would remain completely in their control. While Instagram co-founder Kevin Systrom had previously hinted about video in the app’s future, he explained that developing a high-quality video app presented a number of challenges. Apparently, Facebook’s resources have been able to make video a viable and valuable feature for Instagram users to enjoy today. Stay up-to-date on the latest social media topics and tools. Contact MDG Advertising today at 561-338-7797, or visit mdgadvertising.com.